"The practical directness of Saether's descriptions is ingenious and stimulating, and they make reading the book exciting... a contribution to research in the field of karma." - Das Goetheanum. 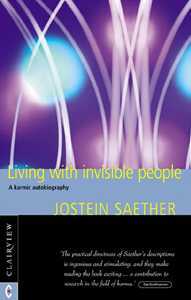 After working methodically with meditative exercises for a number of years, Jostein Saether had a dramatic breakthrough. Sitting in his meditation chair, he experienced vivid inner pictures of an initiation ceremony in ancient Greece. He knew with absolute conviction that it related to one of his previous lives on earth. Continued meditative work led him to trace and research many of his past lives, which he relates in this extraordinary book. He also gives descriptions of many other spiritual experiences, and reflects on karmic investigation as an art and science. Although nowadays many people are recalling memories of former lives on earth, few have followed the rigorous discipline of specific exercises in the way that Saether has. His work has enabled him to give vivid descriptions of past incarnations, and to show how they are present in metamorphosis in his current life. Beginning with episodes from his present life leading up to his spiritual breakthrough, Saether takes us on a journey starting in the prehistoric ages of Lemuria and Atlantis, and on to the cultures of Egypt, Crete, India and Greece. He continues through early Christianity and the Middle Ages, up to the sixteenth and nineteenth centuries. A few well-known names appear along the way, as well as fascinating details that throw new light on known historical facts.